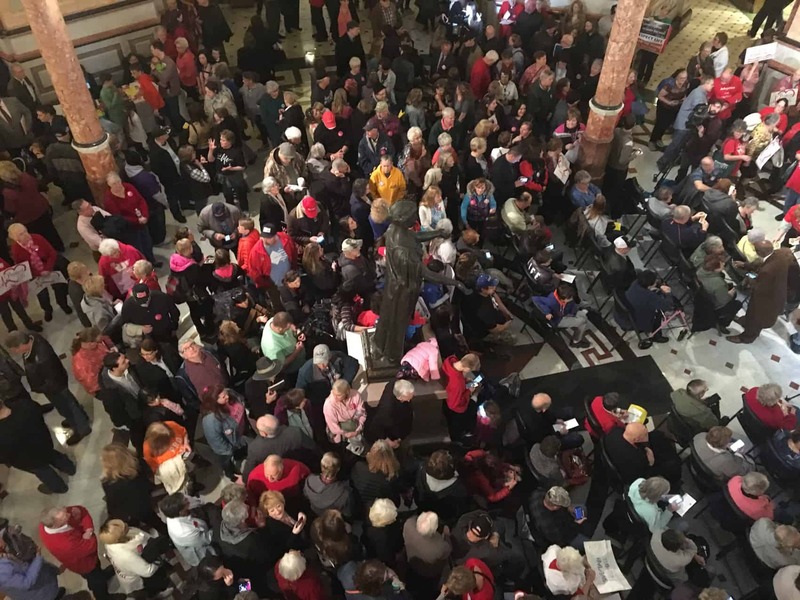 Capitol Security declared the first floor rotunda "full" after at least 3,600 people gathered for the March 20 Pro-life Rally. Springfield | An estimated 3,600 pro-life advocates turned out at the State Capitol in Springfield March 20 to rally and lobby legislators against new bills that would expand abortion in Illinois. The rotunda grew so crowded that lines of people formed outside as Capitol security shut down admission. Those at the rally gathered to speak out specifically against the Reproductive Health Act, which would legalize abortion in Illinois through all nine months of pregnancy. “We’re here today to speak for those who cannot speak for themselves, asking our lawmakers not to expand abortion in Illinois; not to damage conscience rights; not to force insurance companies, not to ask pro-life medical people to engage in abortion which they find reprehensible,” David Smith, executive director of rally co-organizer Illinois Family Institute, told the Illinois Baptist. In addition, current law requires a second doctor to be present to provide immediate medical care “for any child born alive as a result of a post-viability abortion.” The bill eliminates the requirement. The bill currently has a House version—HB 2495—and a Senate version—SB 1942. The House bill has been assigned to the Informed Consent Sub-Committee, and SB 1942 is waiting to be heard by the Senate Executive Committee. 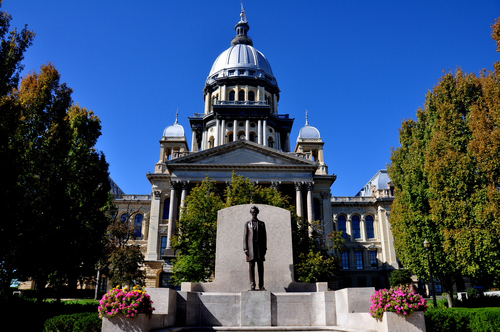 The move toward expanded abortion laws in Illinois was an immediate concern for pro-life advocates after the 2018 election of Gov. J.B. Pritzker, who often stated his support for abortion rights during his campaign. Pritzker signed an executive order Jan. 22 to enforce a law directing state employee health insurance plans to include abortion services. SB 1594 was heard by the Public Health Committee March 20 and passed through the committee by a party line vote of 8-4. The bill has been sent to the full Senate for a second reading.